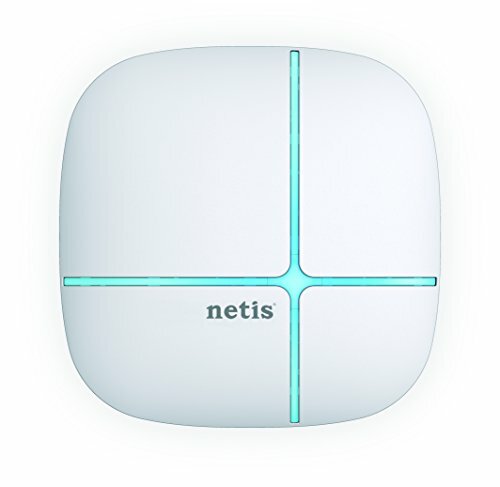 The Netis 300Mbps Wireless N High Power Ceiling-Mounted Access Point WF2520 provides long range, high performance wireless Internet access over large areas. It provides you multiple wireless modes including Access Point, AP Router, Client, WDS, Repeater, and WISP, for flexible wireless network setup and deployment. Also, with the 802.3af PoE design, you may easily establish a solution where electrical socket is unavailable or hard to reach. Under the high power mode, you will enjoy much better network experience in large homes, multi-floor offices or warehouses. Multiple Operation Modes, it supports multiple wireless modes including AP, AP Router, Client, WDS, Repeater, and WISP. Based on your current network structure, you can choose a suitable wireless mode to build or extend the wireless network. High Power: Penetrate walls and eliminate dead zones. With the advanced high Power Amplifiers and Low Noise Amplifier technology, it provides powerful Wi-Fi coverage and great for larger homes, offices, hotels and warehouses. Ceiling-mounted Design: Ceiling-mounted appearance makes it easy to be installed to the wall or ceiling surface.